I am looking for a dependable, detail oriented housekeeper. Bi- weekly, 15.00 an hr. Min of 3 hrs. Available to work in the morning.I am looking for a dependable, detail oriented housekeeper. Bi- weekly, 15.00 an hr. Min of 3 hrs. Available to work in the morning.I am looking for a dependable, detail oriented housekeeper. Bi- weekly, 15.00 an hr. Min of 3 hrs. Available to work in the morning. Other Availability: We can likely accommodate other availability. How To Apply: Send me a message and expect a response within 7 days.Other Availability: We can likely accommodate other availability. How To Apply: Send me a message and expect a response within 7 days.Other Availability: We can likely accommodate other availability. How To Apply: Send me a message and expect a response within 7 days. House cleaning for short term vacation rental home.House cleaning for short term vacation rental home.House cleaning for short term vacation rental home.House cleaning for short term vacation rental home. Help a momma out!Help a momma out!Help a momma out!Help a momma out! 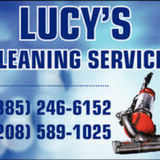 We clean residential, New contruction, move in and out, windows, floor polishing, carpet and we do car detailing as well.We clean residential, New contruction, move in and out, windows, floor polishing, carpet and we do car detailing as well.We clean residential, New contruction, move in and out, windows, floor polishing, carpet and we do car detailing as well.